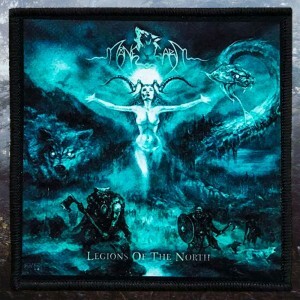 Printed patch with album cover «Legions of the North» of the Swedish «Folk / Black / Viking Metal» band «Månegarm». Product description: high-quality color printing on thick polyester fabric. The product can be safely washed in the washing machine on the delicate cycle at a temperature not exceeding 40°C.